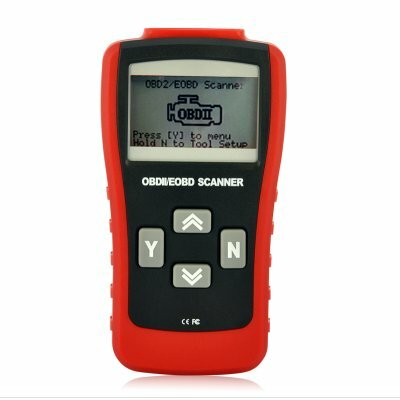 Successfully Added Professional OBD-II and EOBD Code Scanner - 3 Inch LCD Display to your Shopping Cart. The Ultimate code scanner with large LCD display screen for gearheads and average car owners. Save yourself the hassle of going to the dealership every time and diagnostic your car at home. Presenting the perfect tool to help troubleshoot and identify car engine problems. This code scanner lets you view live engine data and retrieve data stream. This enables you to accurately diagnose very simple to the most complex of vehicle engine problems. Nine different OBD2 test modes are available. This model works with all 1996 and later US, Asian and European OBDII compliant vehicles. Keep up with the latest developments in vehicle maintenance using this diagnostic scanning tool (using all the OBD2 protocols). The sky’s the limit in what you can diagnose with the CVFG-A12 code scanner! With additional functions of CAN Protocol Support you have even wider vehicle scanning coverage. Examples include resetting the check engine light, read and clear all generic diagnostic trouble codes (DTC), views OBDII freeze frame data, display pending codes, retrieve vehicle information (on supported vehicles) and determine the status of the malfunction indicator lamp (MIL). 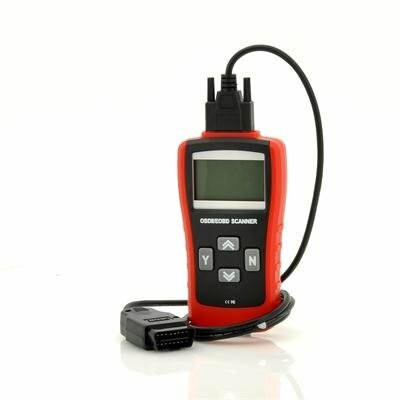 This is just a few of the diagnostic checks you can carry out with this professional code scanner. The Professional OBD-II Scanner is now in stock and offered at an unbeatable wholesale price. Place single piece dropship order, or purchase wholesale stock to sell and make some easy profits! Brought to you by the leader in wholesale electronics, Chinavasion. Instructions must always be read and advice thought from your technician or mechanic before using this product. The CVFG-A12 diagnostics code scanner works on vehicles that's are OBD-II compliant, the best way check if your car is OBD-II compliant is to check the car user manual, contact your local car dealer or mechanic.